Happy Friday Everyone. My goal by Sunday was to have 1500.00 raised for our adoption and I'm not letting the cat out of the bag just yet but I will tell you that I'm very very close. I will update on Sunday so check back, until than have an amazing day. 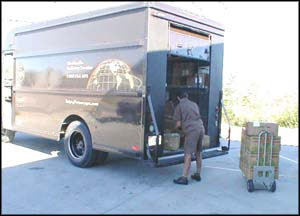 Sorry I don't have much chatting time I got popcorn sitting on my deck from UPS and I gotta get it delivered!! I think the T~Shirts turned out amazing. Randy and Sharon's in Le Mars always does a great job for me. I'm actually thinking about doing the front logo on a few other items too but we'll see, right now my plate is a little full :) Austin was so excited this morning he couldnt wait to wear his to school. I love it, the boys are seeing God work and they're responding to his command. YES! Hope you enjoy these as much as we are. The price is $22.00 on all sizes (S - M - L) so please specify what size you are ordering. I didn't order any XL shirts this time however I will be placing another order and if I get enough request for that size I will order them next round. Thanks so much for your support, kind words, friendships and most importantly your prayers. May God Bless You All that are led to join together and bring our baby girl(s) home! Welcome Friends and Family! Wow, where do I begin! Here it is, the raffle you have all been waiting for - Jill's Super Huge Adoption Raffle-Raiser! Our adoption expenses will total nearly $50,000, which as you can imagine, is a stretch! In our quest to raise the $$$ we still need to bring our baby girl(s) home from Russia, we have put together an AMAZING raffle, with a prize package worth more than $600 !!! 1. 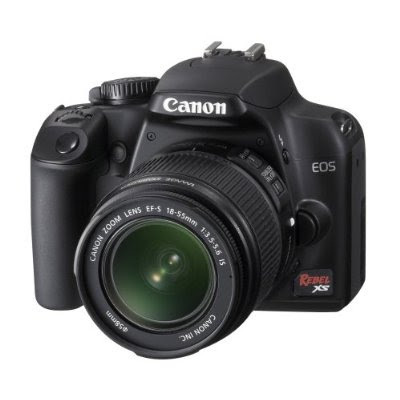 A Brand New Canon EOS Rebel XS Camera! Black 10.1 MP 2.5" 230K LCD Live View Digital SLR Camera w/18-55mm IS f/3.5-5.6 Lens. This is a fabulous dSLR camera that will have you shooting like a pro in no time! You will not be disappointed! Visit Canon USA to get all of the technical details! 2. 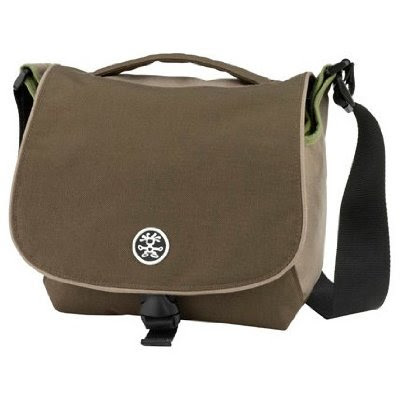 A Brand New Crumpler 5 Million Dollar Home Shoulder Camera Bag in Brown/Oatmeal/Lt. Olive! 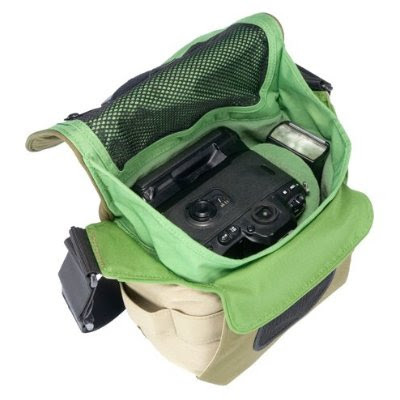 This super fun company (visit Crumpler Bags) has THE BEST camera bags I have seen! 3. A Cotton Candy by Natalie Camera Strap! I recently found this amazing designer on Etsy, and fell in love with her camera straps! 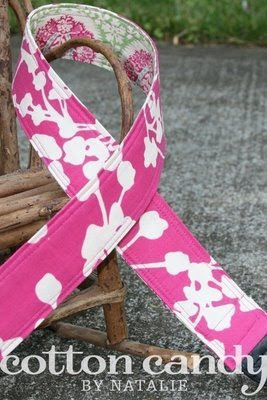 You will receive a $30 gift certificate to her shop to select the camera strap that you love most! Visit Cotton Candy by Natalie Now! Whew! Time to take a breath! Every $5 donation you make using the secure PayPal button above will buy you a raffle ticket. The suggested donation is $5 per ticket, but you can donate any amount you choose. Enter as many times as you wish. Each $5 donation buys you one ticket. (You can donate more than once and get one ticket each time, or in one lump. If you donate, say, $30, we will know you want six tickets.) The more tickets you buy, the more times we'll enter your name in the drawing and the more chances you'll have to win the Rebel XS Prize Package!!! Donating is secure and will be accepted through the PayPal icon at the top of my blog. When you donate via PayPal, you are automatically entered in the raffle to win the Rebel XS Prize Package. Soon after you donate, we will send a reply email to the address on your PayPal account, letting you know what your raffle ticket number(s) are. Then you wait until the Raffle-Raiser is over on May 28th and see if you won! Please feel free to email me at jamiejillverduin [at] yahoo [dot] com or use the email link to the right if you have any questions. So you want to increase your chances of winning? Just put a post up on your blog linking your readers to this post, leave a comment after this post with a link to your blog so that we can verify your post, and we will double the amount of raffle tickets you buy! Not bad, eh? IF YOU WANT YOUR TICKETS DOUBLED, YOU HAVE TO EMAIL ME WITH THE NAME AND EMAIL ADDRESS YOU PURCHASED YOUR TICKET NUMBERS UNDER. I CANNOT DOUBLE THEM WITHOUT KNOWING WHO YOU ARE!!! This would make an awesome gift for just about anyone! I know quite a few of you out there are already using a camera of this type, but just think how awesome it would be to give this prize pack to a friend, or family member! What a FUN gift for anyone! Or hey, keep the brand spankin' new one for yourself and pass your old one down! You can also make a donation to the adoption fund without purchasing tickets. Just make sure to mention that you don't want ticket numbers. We are very humbled by all donations! All it takes is $5 to make a huge difference in an orphans life. Contest ends at 11:59 pm, May 28th, 2009. Winner to be announced May 31st, 2009! Void where prohibited. Chances of winning are based on number of tickets sold. Winning number will be selected via random.org. We will post a photo of the winning number to verify the results! Winner will receive their amazing prize package immediately following the end of the Raffle-Raiser! Thank You, Thank You, Thank You from the bottom of our hearts for helping us raise the funds we need to bring our baby girl(s) home from Russia! Every $5 donation is a miracle to us...God Bless You All! Yep I did it, I squeezed 1 more thing into my life. It all fell on me like a ton of bricks when I was up late one night filling out application for grant money and wondering where the $$$$ for this adoption was going to come from esp. if we'd be blessed with 2. As I sat there wondering and thinking and waiting I decided to heck with this waiting I'm going to find a way to fund this no matter what so here I am introducing you to my newest fundraiser....POPCORN Sales. I didn't know how I'd find the time but I keep coming back to the same thing...God will provide. I decided that Sat. was going to be the big day to start this however it got started alil early. I was getting ready to log into my work site tonight when I came to the realization that my work website was down...for 1 min I thought oh maybe I'll do a load of wash or rest. That thought didn't last long cause soon after I saw the popcorn order form laying on the table. I grabbed the order form, put my coat and mittens on and off I went. I know some of you are thinking wow was she scared or nervous, yes I was all that, I didn't even know for sure how I was going to do this or what I was going to say when I got to the door but I also knew it was up to me. Well I'm going to tell you I loved it, I'm still alil giddy about the whole thing. I left home at 5:30pm walked to every house on my block and the neighboring block, everyone that came to the door bought. I arrived back home at 6:45pm and sold a total of 173.00, we get 47% so that's 81.31 toward our adoption. Here's my thoughts, if I do this 4 nights a week and have those results in a week it's 325.64. See why I'm so excited, I'm making things happen. The money is great but visiting with my neighbors was so refreshing. I didn't know I'd see God move like he did thru this adventure and this is why I say that. My neighbor Linda Reichle decided to order a small bag of popcorn and as she handed me the check she said "Jill we really don't need the popcorn we don't even eat it, just take the money", of course I told her No I'm bringing you the popcorn, little did I know when I got home the check from Linda was for 25.00 not the 5.00 like her bag should of cost. I immediately called her and she said "those children don't have a home so people that do what you're doing deserve the 25.00". God is good. 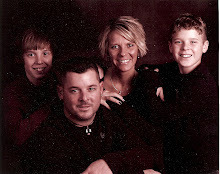 I don't know what God's plan is with me or my life but if things go like planned my deep desire is to continue this mission and start our own Adoption Fund for Northwest Iowa families. I know budgets are tight but if you can we would love your support. My goal is to raise $5000.00 thru fundraisers so I will be doing other things as well including a huge water balloon fight this summer for our town! If you're able to help shoot me an email with your order and than you can send me a check payable to: Jill Verduin or I can accept credit cards. Popcorn should be delivered in 3 weeks. Thanks for all your support and prayers. Chocolate Drizzle ~ Caramel Corn Our chocolate-loving cooks at Popcorn Palace decided our unbelievable Gourmet Caramel popcorn just wasn’t enough. So they drizzled rich, creamy, premium milk chocolate over a fresh batch of caramel popcorn and ‘viola’… just like that a star was born! Try it soon, it runs out quick…. Cheddar Cheese ~ Cheddar cheese originated in the English town of Cheddar. It took almost 1000 years for Popcorn Palace to come along and perfect this wonderful flavor by melding it with delicious, crunchy gourmet popcorn…and our many satisfied customers are sure glad we did! Rainbow ~ Looks good, tastes better! Kids just love this one. Our Tangerine,Wild Cherry, Spiced Apple, Grape, and Lemon popcorn flavors are fruity, fun, delicious and… irresistible! 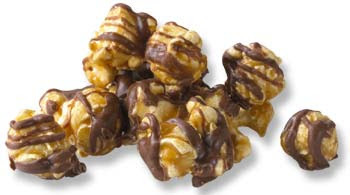 Gourmet Caramel ~ Our famous popcorn, dripping with our secret recipe of real butter-based caramel. The “other guys” try this flavor but Popcorn Palace has perfected it - all with the help of our many satisfied customers. Rich, creamy, crunchy and sweet! Macadamia Butter Crunch ~ You won’t have time to pick out all the genuine macadamia nuts loaded into this unbelievable gourmet surprise. Munch and crunch your way to the bottom of the bowl and savor the creamy, real butter in this sweet and nutty treat. A Popcorn Palace exclusive blend! 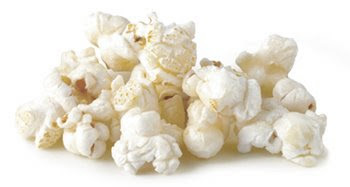 Kettle Corn ~ Premium pure cane sugar and select sea salts, mixed with our delicious, original, gourmet popcorn will bring you back to the bowl over and over again. The most sweet and savory sensation you will ever have…and a Popcorn Palace classic! Cookies and Cream ~ What do you get when you mix the most famous cookie ever and our famous gourmet popcorn? That’s right, Popcorn Palace’s signature Oreo’s® Cookies & Cream. Real Oreo Cookie crunch and real Oreo’s cookies too! 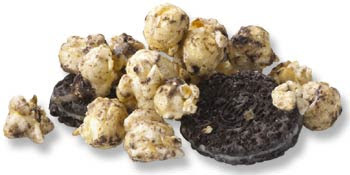 Everyone knows about Oreo’s and everyone will love our Cookies & Cream popcorn. Peanut Butter Drizzle ~ Peanut Butter and White Chocolate hand drizzled over our own kettle corn recipe begs you to try it. One of our newest hand drizzled chocolate flavors is sure to please everyone. Chicago Style(caramel/cheddar mix)We took our two most popular flavors, Gourmet Caramel and Cheddar Cheese popcorns and combined them together to create a “sweet/salty” taste sensation. We have created a true hometown favorite in honor of our great city - - Chicago! Caramel NutCaramel Nut popcorn is the “nutty” sibling of the Gourmet Caramel bathed in a thick, premium mix of cashews, almonds, and peanuts. 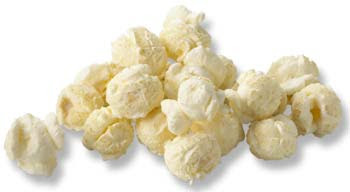 An amazing sensation like our famous Gourmet Caramel popcorn but loaded with a lot of extra crunch.Yum!